Green superfoods are revered for supporting the purification and cleansing of vital organs, body tissues and blood supply. Deep, dark berries are known for their potent and powerful antioxidant qualities and provide a terrific berry flavor. Nurture and nourish your body with nature's perfect blend of nutrient-dense, deep, emerald green superfoods and delicious berry extracts. Masterfully formulated with nature's most vitalizing plant-based ingredients - providing broad spectrum, nutritional support for your vibrant health and energy. Simply put one heaping tablespoon in 8oz. of water of your favorite juice and stir. Enjoy one to three times daily! 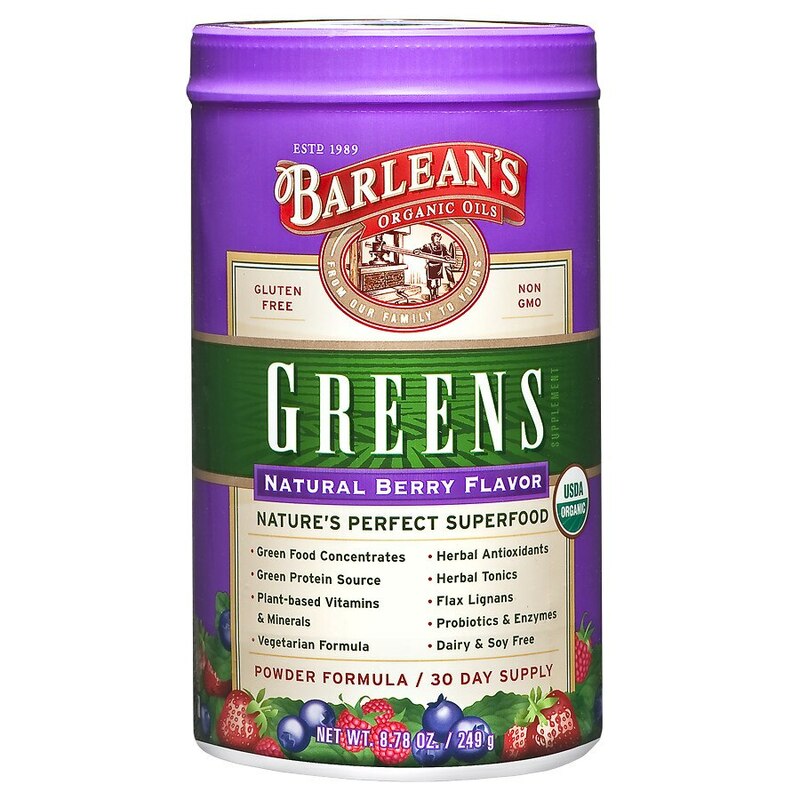 Take Barlean's Green's first thing upon arising as a perfect way to start your day. Best kept refrigerated after opening.